SonyLiv adds another language to its catalogue, launches first Gujarati rom-com..
General News: SonyLiv adds another language to its catalogue, launches first Gujarati rom-com..
General News SonyLiv adds another language to its catalogue, launches first Gujarati rom-com..
MUMBAI: Younger by a few years or older by a wide age gap? Arranged by the family, the saccharine sweet romance or the clandestine hush-hush affair? 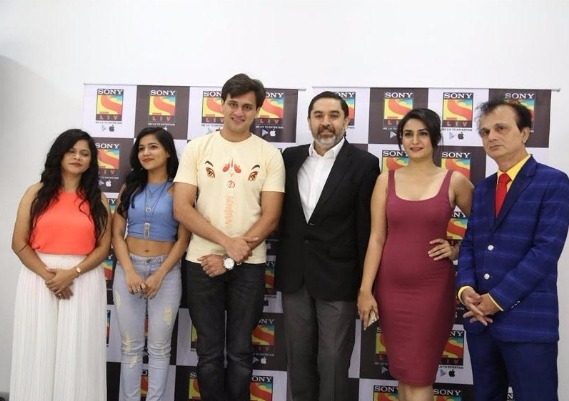 The dilemmas of an average, middle-class joint Gujarati family define the flavour of India’s first ever Gujarati rom-com web series ‘Kacho Papad Pako Papad’ on SonyLIV. A rollicking affair that promises to have you in bouts of laughter, this Gujarati web series has the perfect combination of content and actors that ensures you are glued to your screens. Starring acclaimed actors Rupa Divatia, Pratap Sachdeo, and Bhakti Rathod, ‘Kacho Papad Pako Papad’ revolves around the sprightly misadventures of the Maniyar family. The family has an uncanny ability to make any ordinary issue look like an extra-ordinary challenge. It all begins when their son Vipul brings home a girl who is older than him, to be introduced to the family. However, trouble ensues when a girl who is several years younger, professes her love for their son and her intent to marry him. Starting 19 May, 2017, the exciting Gujarati web-series will be available on SonyLiv's web and mobile platforms. Spread across a 12 week duration, with each episode spanning 6--8 minutes, a new episode will release every Friday. SonyLIV users also have the option to subscribe to the entire web series, if they want to binge watch the show.